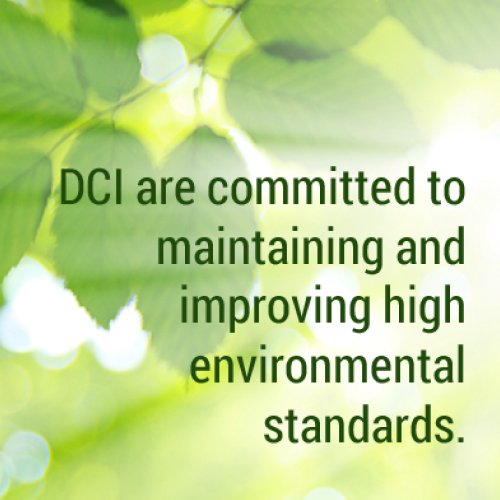 DCI are continuously striving to satisfy environmental concerns and reduce our carbon footprint. Over recent years, many factors have been put into place to meet the challenges of new environmental legislation. DCI have achieved an extensive portfolio of awards and certifications, including ISO 14001, FSC®, Nordic Swan and Blue Angel. DCI have a zero landfill policy. Many materials are recovered in house such as test paper, cardboard, used toner powder, plastic, wood and metal. Remaining materials are sent to a local professional recycling firm who specialise in the recovery of waste materials.